GET $156.50 WORTH OF PRODUCT FOR ONLY $99 +TAX / FREE SHIPPING! 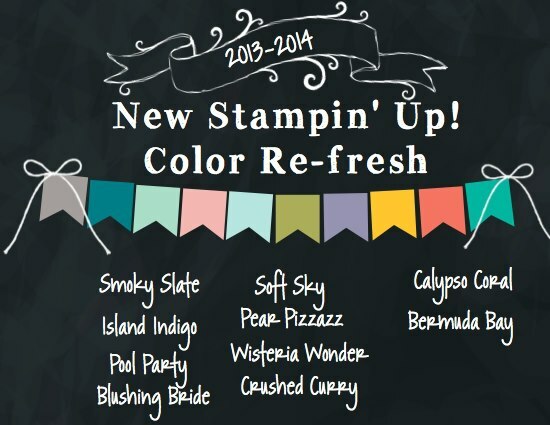 Lets just talk about the Color refresh for just a moment… with everything that was going on this weekend I didn’t really have a chance to share with you how excited I am about the new colors that we have come in our 2013-2014 catalog! And let me just mention that these colors that are retiring are only WHILE SUPPLIES LAST! Lets look at what is coming and going! 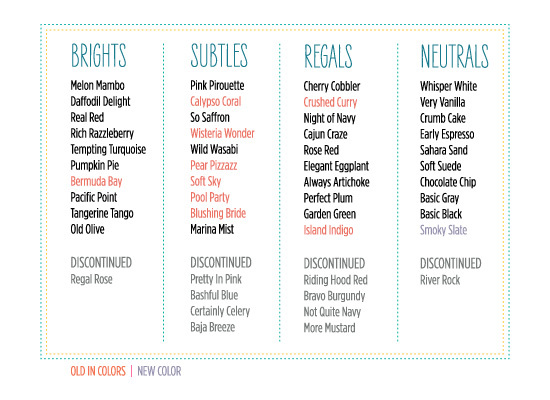 AS OF LAST NIGHT – BAJA BREZZE, REGAL ROSE & BASHFUL BLUE REINKERS ARE GONE!!!!! DON’T FREE GREAT TODAY IS THE LAST DAY FOR FREE SHIPPING!!!! NO MINIMUM PURCHASE, NO REQUIREMENTS!!!! AND YOU WILL BE ENTER TO WIN A $35.00 SHOPPING SPREE! To become a demonstator stampin Up! What is the age of when you can start to be a demonstrator? Does it matter that I'm from Romania? Do you have a picture of the new colors? There are some I would like to order before they are gone, but if the new ones are close, maybe I'll just wait. I hate to duplicate colors. Also Is the extra 25% still good for today, if you join?